American Brilliant Cut Glass Vase -- This is a beautiful example of American brilliant cut glass in the Harvard pattern with. There is no signature that I could find, but it is of the best quality with no damage at all. It measures 8" tall x 7" wide at its widest point. 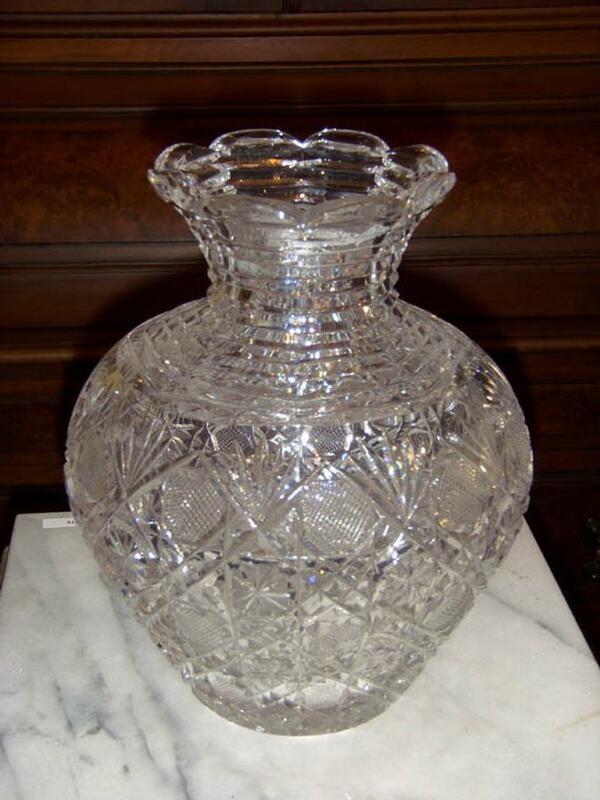 This is a beautiful example of American brilliant cut glass in the Harvard pattern with. There is no signature that I could find, but it is of the best quality with no damage at all. It measures 8" tall x 7" wide at its widest point.